For a lighthearted musical about sailors falling in love with total strangers and a city, “On the Town” excels at being fun and joyous the whole time. It often feels like a precursor to “Singin’ in the Rain” with its elaborate dance numbers and choreography, while also feeling very much in tune with films like “West Side Story” in how it uses New York City as its own character. But what really sets this apart from those other films are the songs and how they feel like smooth poetry, especially when they’re sung by Gene Kelly and Frank Sinatra. The romances between the three main leads and the eccentric women they meet start out a little off-putting, especially between Sinatra and Betty Garrett as a crazed taxi driver that falls for him at first sight, but considering the spotaniety of the film and its characters, it fits everything else and has a lot of great comedic moments. 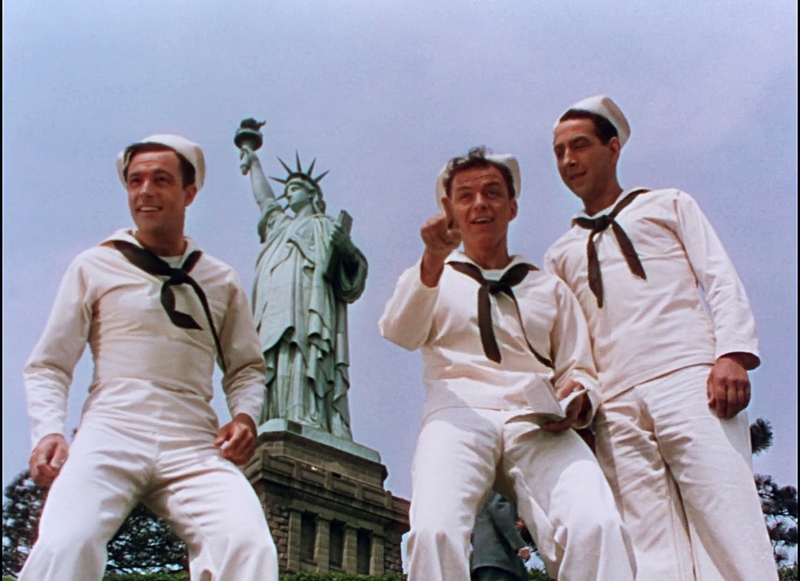 Overall, you can see how “On the Town” influenced many other musicals like “Singin’ In the Rain” and “The Sound of Music,” and easily see why it is considered one of the more accessible and enjoyable musicals of all time.